Returning this summer! 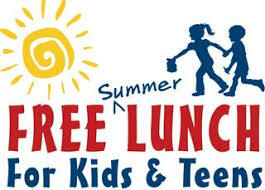 The Dundee Library will host free summer lunches for all kids 18 years old and under. Visit the library from Monday through Friday from noon to 1 p.m. to enjoy your nutritious lunch! Meals are paid for by the Summer Food Service Program (SFSP), a federally funded program managed by the USDA and operated by the Illinois State Board of Education in conjunction with the Northern Illinois Food Bank. Lunches will begin on Monday, June 3 and be served through Monday, August 12. Volunteers will be needed from 11:30 a.m. to 1:30 p.m. to serve the lunches (great opportunity for high school students!). For more information on volunteering, email Sherry Kenney at skenney@frvpld.info.